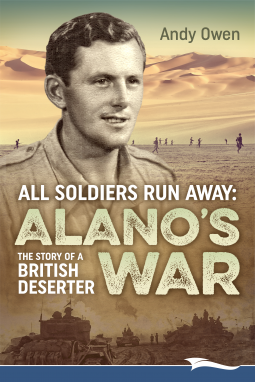 All Soldiers Run Away: Alano’s War, The Story of a British Deserter by Andy Owen is a story of a World War II British deserter which is a personal story as well as part of a much bigger and usually not recognized consequence of war. Owen served in the Intelligence Corps of the British Army reaching the rank of Captain. He completed operational tours in Northern Ireland (2003), Iraq (2004 and 2005) and on intelligence duties in Helmand Province, Afghanistan in 2007. East of Coker is his second novel following Invective (2014). I would imagine that when an American thinks of a deserter, the image someone running away from the Vietnam War comes to mind and gets blurred into Jane Fonda sitting on an anti-aircraft gun in North Vietnam. Americans rise to the challenge especially if it was a “good war” like World War II. Movies like The Sands of Iwo Jima or series like Band of Brothers show that courage and sacrifice are the keys to winning a war. Vietnam was different. From July 1, 1966, through December 31, 1973, the Department of Defense reported 503,926 cases of desertion. In the Iraq War, there have been thousands of desertions (40,000 according to some sources) in the American military, but only one made the news. The reasons for desertion are many, from fear of death to moral grounds (war for oil). One reason that is not usually discussed is mental exhaustion. Shellshock first came into being as a mental illness in the first world war. However, this was after many who suffered were executed for desertion and cowardice. Shellshock remained a problem after the war although there was little progress in treatment. In Virginia Woolf’s novel Mrs. Dalloway, Septimus Warren Smith is a WWI veteran being treated for shellshock with a tragic outcome. Shellshock was a problem but it was far from understood. Today shellshock is more correctly called Post Traumatic Stress Disorder (PTSD). War is not only about killing. It is about taking away your enemies will to fight. It is easier and causes fewer casualties on your side if you can get your enemy to stop fighting. German Stukas used sirens to terrify the targets of their dive bombing. Those who survive know what the sound of the sirens meant and the fear lingered on. Constant artillery barrages and chemical weapons were to inflict physiological damage. Sleep deprivation, concussion from artillery, and general wearing down of the enemy troops is the goal. Some people can handle the stress better than others. Some people simply break down mentally. That is what happened to Juniper. It may not be the danger that causes the breakdown but the lack of peace. US Southern Command used Van Halen at loud volumes to try and drive Noriega out of hiding in Panama. This was repeated in Afghanistan with US Marines blaring heavy metal music into the village of Marjah. Music and lights, or strobe lights, are used in interrogations to break down prisoners by depriving them of rest without leaving marks on the body. The point is that certain tactics are designed to break down the human mind. However, when it works against our own people it is seen as weakness. Owen examines the British efforts in North Africa against the Germans and Alan Juniper’s role in the war. The personal, as well as the big picture, are brought together in the book. The war and its effects are described on the British forces as a whole, public opinion, and the individual soldiers. Owen examines the war in the historical sense and in the philosophical sense too. Just War Theory, Kant, and Camus are brought into the discussion. Playing the role of devil’s advocate (as well as describing its origins), Owen creates and “Alan II” to serve as an “every soldier”. Owen makes a case for effects of PTSD and its effect on those in combat. Those who serve are expected to serve to the best of their ability. What should happen to those who serve beyond their best ability? Physically wounded soldiers* are expected to recover before returning to battle. What of those who are mentally wounded? We all have our breaking points. For those of us who served, most have seen that breaking point exceeded by some in boot camp which is far less stressful than combat. Another problem with military desertion is it is made into a political issue. Sadly, the some of the toughest criticism of deserters comes from those who never served and those who did their best to avoid conscription through various means. The system is unfair to those who break down under conditions that are meant to break them down. A deeper understanding of PTSD and its recognition and treatment are needed. The examination of one soldier’s experience can be used to start understanding other soldier’s experiences. Mental wounds are just as disabling as physical wounds. They are just harder to see. Veterans in the US have a 22% higher suicide rate than the general population. According to the Veteran’s Administration, in 2014, twenty veterans a day took their own life. PTSD is a major factor in many veteran’s lives. There is not a clean and easy solution. PTSD will not be treated by “I Support the Troops” magnets on cars. It is easy to support the troops for war, once they come home hurt or broken it is another matter that requires more than a car magnet. This is when the real support is needed. All royalties from this book will be donated to PTSD charities. Here is a chance to support the troops in a meaningful way — donating and getting educated on the effects of war on those who served. Although the major combat is over, the battle for our soldiers is far from over. 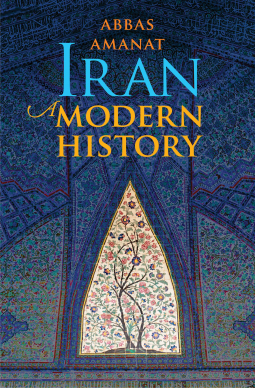 Iran: A Modern History by Abbas Amanat is a detailed five hundred year history of Iran. Amanat received his B.A. from Tehran University in Social Sciences in 1971 and his D.Phil. from the Faculty of Oriental Studies, Oxford University in 1981. He is a Professor of History and International Studies and Director of the Yale Program in Iranian Studies. Amanat is a historian of Iran and Shia Islam, and the modern Middle East. He specializes in Qajar Iran as well as the history of messianic and apocalyptic movements in the Islamic world. For many, Iran became a fixture in American politics 1979 with the revolution and the taking of American hostages by college students. Iran was in the news again with talk of Reagan and the hostage release and later arms for hostages. Today Iran is the news as the US and others work to stop their nuclear weapons development. For those with a sense of history, President Hassan Rouhaniseemed to mimic Woodrow Wilson with his statement that “Death to America” is not directed to American people but to the actions of the American government. Iran (or Persia) has a long a history and a deep culture that is detailed in Amanat’s book. Culture in arts and life adds greatly to a country’s history, changing it from a detailed listing of events and adding a human factor. This is, unfortunately, missing from many histories that are not typically Western. Culture adds to the reader’s understanding. That being said, the revealing of the history is done with great detail and clarity. Perhaps the best thing about a well-written history is it explains how a country became what it is today. Why is Iran anti- American (government)? Why is Iran so concerned about its security? Are nuclear weapons a power grab or just a deterrent? Why do so many allies of the US have full diplomatic relations with Iran? How can one Muslim state be at odds with nearly all other Muslim states? I found the period between World War and World War II the most interesting and, for my part, the most unexpected. This is the birth of modern Iran and its regional and international struggles. Here too is where the internal struggle between conservative Islam and Western culture seem to clash and continue to struggle even today. Iran has a rich history that is a struggle. That history also explains why present-day Iran evolved into what it is. For many Americans, it seems more like a Cold War situation, a representation of worldwide terrorism. To Iran, it sees a world ready to exploit any weakness and remembers every betrayal on the world stage. This is a book that will bring a broader understanding of a country that only preconceptions exist. The first step in better relations is understanding. Amanat does a tremendous job of educating the reader, even a reader with a background in history. 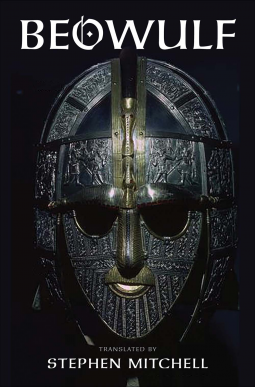 Beowulf by Translated by Stephen Mitchell is a contemporary translation of the classic poem. Mitchell was educated at Amherst, the Sorbonne, and Yale, and de-educated through intensive Zen practice. His many books include the bestselling Tao Te Ching, The Gospel According to Jesus, Bhagavad Gita, The Book of Job, Meetings with the Archangel, Gilgamesh, The Second Book of the Tao, and the Iliad. It was in high school years ago that I first read Beowulf. Monsters, Vikings, and adventure sounded like it would be a great read, however, it turned out to be misery. The text was in old English and not the thing my high school brain wanted to focus on. I asked why it wasn’t written in modern language. I was told it would lose it poetic style and intent. Little did I know, we were reading a translation. Several translations exist of the now unreadable original English. Many high schoolers were probably happy with the 2007 release of Beowulf with Angelina Jolie as Grendel’s mother. Mitchell points out one major flaw of that movie. The characters in the movie talked in almost comic book fashion rather than the well-spoken characters in the original text. Translations also bring about the problem of the poetry and in particular in this poem the alliteration. Mitchell keeps this alive with alliteration with repeated sound over that of just the first letter. There is a rhythm with words and the line structure that holds true to the original. In the introduction, Mitchell also discusses another interesting point of the poem, religion. In the poem, a singular God is mentioned throughout. It is not the Norse pantheon. The God, however, is a bit ambiguous. Although called Lord and mentions Cain, it does not seem, historically or in the poem, to be the Jewish God. Yet, the text makes no reference to Jesus or the New Testament. Mitchell’s translation does an excellent job of preserving the story as well as the literary quality of the original work. 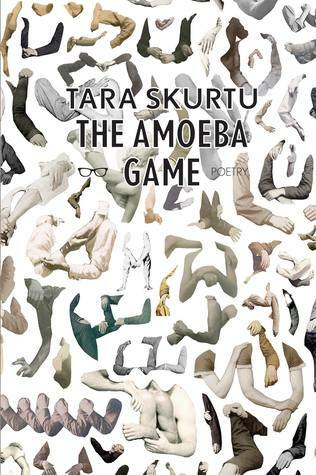 This translation avoids the graphic novel treatment of the classics in simplifying language and the plot. It is the full text in a format that is easily comprehended by most readers.